Be the man everyone aspires to be. Be the man who garners attention wherever he goes, a man whose irresistible charm is a mix of fruity and musky scents. The Aftershave lotion keeping the outdoorsy man in mind. The one that makes an impression at work, meetings, parties and everything that follows. This man leaves behind him, a trail of freshness and vibrant energy that none can resist. We pride ourselves as the creators of irresistible fragrances for men. These fragrances keep everyone guessing who, what, when and where, making you the man of the moment. Men who use the Axe Denim After Shave Lotion are among those who glide around in style and set the standard in luxury, every time they set out. The masculine and musky scent keeps you refreshed and revived throughout the day. Just splash some lotion on your hands and gently dab on your cheeks for a refreshing after shave experience. Combine it with Axe Denim Deodorant for a fresh all day long effect. 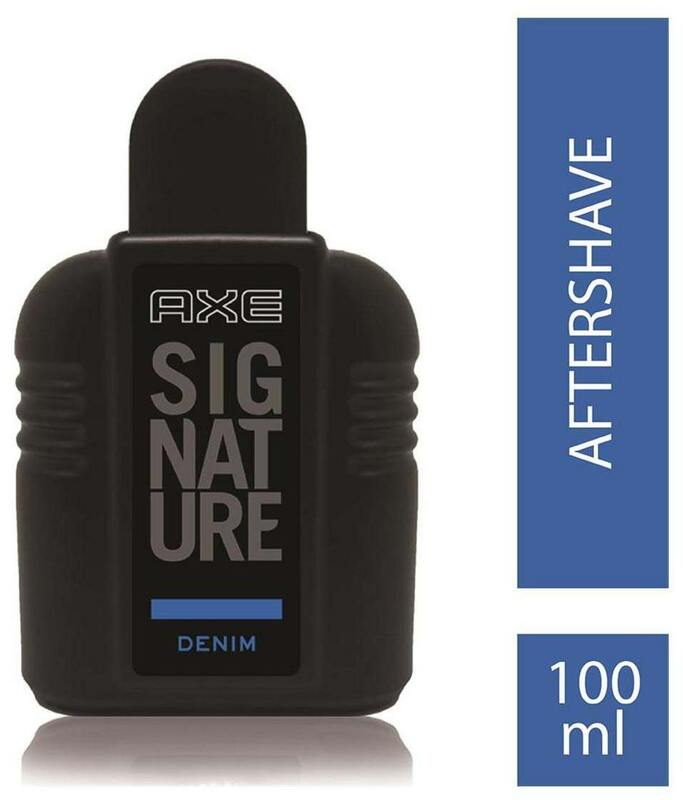 Axe Denim Aftershave not only smells good but also keep you fresh confident that goes on from work, to party, to after party, to after the after party. Keep it going until the next party begins.